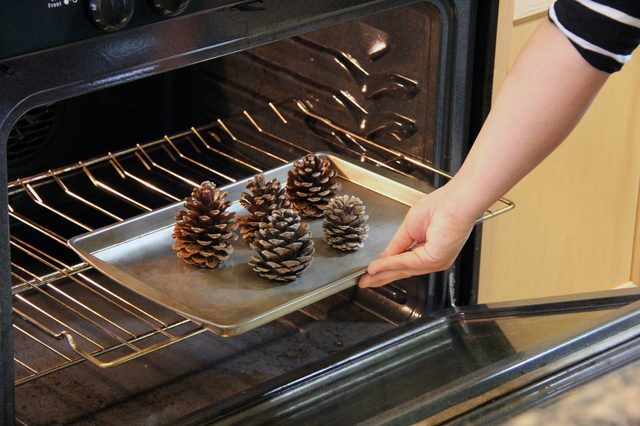 She Puts Pine Cones In The Oven And Her Whole House Thanks Her For It! One of the best parts of fall is all of the wonderful scents. The smell of fall means trees, pine cones, soups with cinnamon and nutmeg, squash baking in the oven and don’t forget the pies. But why wait for those wonderful smells to come to you? In the fall, your home should smell like the holidays 24/7, wouldn’t you agree? Click through to get a simple and natural way to create the wonderful aroma of cinnamon in your home (and get some nice table decor at the same time). leave pine cones where they are to reseed the land…. I Need To Know At What Degree ,What Temp. and How Long To Kill Things In Pine Cones.?????? Thank You.